Edith has lived in the Lake Odessa area for over 35 years with her husband Chuck. They have three children: Nathan, Lindsay and Adam. She has worked locally at Union Bank for 30 years and is currently a Vice President and Information Technology Officer. Edith attended Northwood University and graduated with a dual Bachelors Degree in Business Management and Marketing. Prior to taking on the role of President, she served as a Director and the Treasurer for the Chamber. Sara is the Office Administrator for Carbon Green BioEnergy, LLC. She began working for Carbon Green BioEnergy in December of 2007. She resides in Nashville, MI with her husband Clint and their two children.This is Sara's 2nd term on the Chamber Board and her first term as Treasurer. Sara is very involved with the Easter Egg Hunt, the Woodland Labor Day Celebration, Lady Vikes, and Christmas in the Village. Jay is currently the Plant Manager at Cargill Kitchen Solutions in Lake Odessa. He resides in Grand Rapids with wife Shital and their two children, Priya and Komal. He carries a Bachelor’s degree in Business Computer Information System from St Cloud State University in Minnesota and also holds a degree in Electrical engineering from India. Jay worked the majority of his career in the food processing Industry. He has been with Cargill Kitchen Solutions for the last 16 years in various Operations & Engineering roles in the United States and Canada. Jay is currently serving his 1st term on the Board of Directors for the Lakewood Area Chamber of Commerce and looks forward to contributing to the community. Lindsay was born and raised in the Lake Odessa area. She graduated from Lakewood High School and furthered her education at Davenport University where she earned her bachelor’s degree in Business Administration with a concentration in Marketing. Lindsay has over 12 years of experience in the financial industry. She currently works for Union Bank out of their corporate office in Lake Odessa as the Human Resources Manager. and Marketing Officer. Lindsay is currently serving her first term with the Lakewood Area Chamber. In addition to serving on the Chamber Board, Lindsay also sits on the Lake Odessa Arts Commission Board. Anna Miller has lived in Middleville with her husband, Brandon, and 2 children, Isaac and Vivian, for nine years. Her children keep her busy with their involvements in school including band, Boy Scouts, Gilmore Garage Works, choir, cross country, softball and school productions. As a family they are actively involved in their church, Saints Cyril and Methodius Catholic Church out of Gun Lake. Anna is a Mortgage Loan Originator for United Bank and 2019 marks her 6th year working for the bank, servicing the Caledonia and Clarksville Branches and surrounding areas. Anna is a firm believer, if you want to make a change then you need to be involved. Anna is excited to be involved with the Lakewood Area Chamber of Commerce in her first term as a Director. Morgan Rademacher is a Communications Specialist at Spectrum Health Pennock, responsible for internal and external communications, social media and events. She and her husband, Don, moved to Lake Odessa in 2016, welcoming their first child in August 2018. Morgan is currently participating in Leadership Barry County to expand her knowledge of county and state government, communication styles and team building. She and her family are members of St. Edwards church and look forward to joining the Lakewood Chamber of Commerce as a way to participate and serve the community she is a part of. Denise Parks has been a resident of the Lakewood community for over 20 years. She, along with her husband Dan, raised their three children on Jordan Lake. As a family they attend Lakewood United Methodist Church. She has been active in the community during this time serving on The Sunny Crest Youth Ranch Board of Directors, The Lakewood Board of Education and The Lakewood Area Chamber of Commerce. Her service to the chamber has been in the areas of the Scholarship Committee, The Annual Golf Outing, and the Annual Dinner. Currently Denise is on staff at the New Walker Pharmacy. Marketing and sales are her areas of expertise. Brianna resides in Lowell with her husband Jacob and three children, Vincent, Roman, and Aubree. She loves spending time around the fire, kayaking down the river, and drinking coffee. Brianna looks forward to making a difference serving her first term on the Board and being more involved in the community. Lake Odessa in 2013. Valeri resides in Lake Odessa with her husband Craig and their three children. Among her numerous community involvements, Valeri is a Girl Scout leader and Service Unit Director for Lakewood. 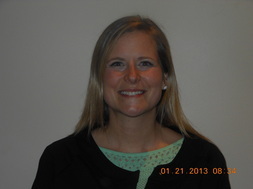 She also holds a board position as Secretary on the Lakewood Elementary PTO. This is Valeri’s first term serving on the Lakewood Area Chamber of Commerce. 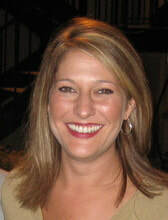 Jennifer Salgat has been a resident of the Lakewood Community since 2005. She is married to her high school sweetheart and they have raised four children. Jennifer was born in Savannah, Georgia but moved to Michigan in elementary school. She has lived all over Michigan but considers the Lakewood community her home. 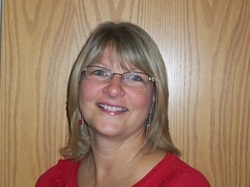 Jennifer began working at the Lake Odessa Community Library in 2010 and is now the Director. Marnie was born and raised on the east side of Michigan. After attending college at Eastern Michigan University, she spent 13 years in Dallas, Texas working in Restaurant Management and Sales for a luxury hotel company. Marnie relocated to the Lakewood area in 2006 when she married Andy Thomas. They have one son, Harrison. Marnie has served as Executive Director for the Lakewood Area Chamber of Commerce for the past nine years. In this position, she is the main point of contact for the Chamber. She also coordinates all Chamber events and is involved with all committees.